Europe’s financial woes may be South Florida’s gain — at least when it comes to real estate. Europeans with extra cash are looking to invest faster in second homes in South Florida before the value of their euro currency drops further, real estate specialists said. Euro-zone woes are rippling to South Florida in varied ways, raising concerns about trade, tourism, stock markets and even the broader pace of the U.S. economy and global growth. Here’s a look at how euro-zone problems — especially in Greece, Spain, Portugal, Italy and Ireland — are affecting South Florida. Real estate: International buyers from Europe and other regions accounted for about 15 percent of Florida’s real estate sales before the 2007 recession, and they’ve represented the bulk of cash buyers in recent years. For Europeans with extra cash, now is the time to buy in South Florida, said Senada Adzem, director, Douglas Elliman real estate in Boca Raton, which specializes in high-end homes. Her European business is up this year, especially from U.K. and German buyers purchasing homes worth $5 million and more. Many cash buyers from Europe are investing in areas where they figure they can rent out their apartments for a gain. Would you buy the house where Gianni Versace was shot? The Miami mansion where Gianni Versace died is on the market. But will the history of the house help or hinder its sale? Emma Rowley investigates the price of infamy. Russian oligarchs, Middle Eastern royalty and Ecclestone sisters, get out your wallets. Gianni Versace’s sumptuous mansion is back on the market. Now used as a boutique hotel, Casa Casuarina in Miami Beach, Florida, has been put up for sale with a hefty £80 million price tag. Whoever buys it will need to share the tastes of Versace, that is certain. The couturier spent millions transforming the 10-bedroom South Beach property into an Italian villa, complete with frescoes, statues and stained glass, ever ready for a visit from Elton and the like. What all those involved are less keen to trumpet is that 1116 Ocean Drive is also where Mr Versace was shot dead on the steps in 1997. Could this tragic aspect of its past prove a problem? This is not a prospect that would appeal to all. But then, whoever snaps up Casa Casuarina, where even the swimming pool is tiled in 24-carat gold, is unlikely to be a shrinking violet. Miami Beach, Florida – The Miami real estate newswire this week’s information on a Mansion but not one in the sky. We frequently report on Mansions in the Sky, Condos in Miami. This is an actual Mansion on the sandy grounds of Miami. 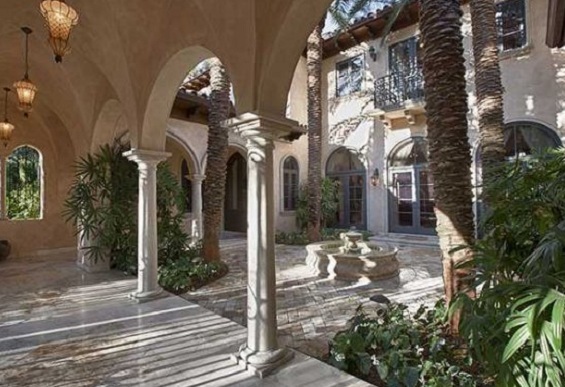 Following 6 Years of living in this luxury Miami Home, Billy Joel is selling. He is known as The Music Man, Billy Joel Is asking $14.75 Million for this Miami Beach Mansion. 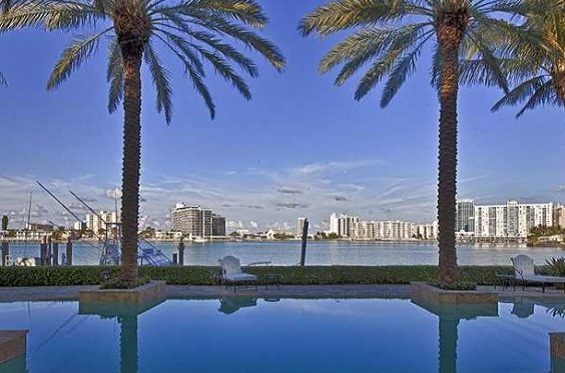 The celebrity real estate news in Miami is often loaded with the big time players. This six-time Grammy-winning singer and songwriter, Billy Joel is selling his mansion on Miami Beach’s gated La Gorce Island. Billy Joel has owned the .67-acre Miami Beach Property since February 2006. This property is pie-shaped and of course on the waterfront. Billy Joel purchased the posh property on La Gorce Island, using a limited liability company, for $13,500,000. It appears through various real estate newswires in Miami that this was a cash deal. The Miami Beach property is viewed as a Mediterranean Revival mansion-in the style, similar to that of the respectable architect Addison Mizner. This Miami Mansion was only built in 2004, as it consists of approximately 8,884 square feet and contains a total of 7 bedrooms and 8.5 bathrooms. This Miami Beach Luxury property includes a separate 1 bedroom and 1 bathroom guesthouse or once what was called a Mother-in-law’s home. The Florida property has sweet Palm trees populating the sides of a paver stone driveway that passes through a motorized wrought iron gate. Billy Joel’s Miami Mansion has a palm tree-ringed interior motor court with two separate and semi-detached two-car garages. This Miami Beach home is loaded with marble, and limestone. The architectural designer did an amazing job as this luxury home includes elevated and barrel vaulted ceilings. 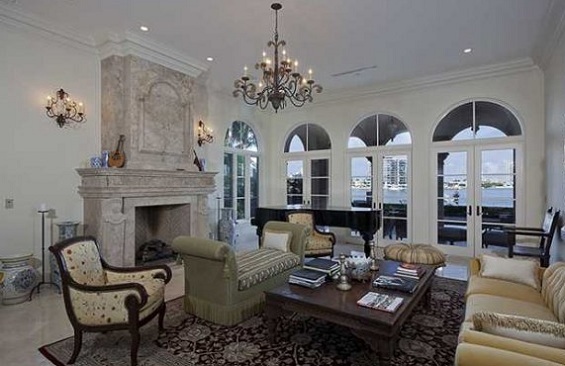 The piano man can see through the French doors and take advantage of the stunning views of the Biscayne Bay. The Miami mansion, according to the Real Estate Broker’s listing details, has formal living and dining rooms. The Miami Real Estate Broker lists details such as a genuine cook’s kitchen, a home office, and a waterside family room with groin-vaulted ceiling. This Miami Luxury property owns a, built-in wet bar, with wine cellar for all those Canadian buyers who want to switch from Miami condos to a ritzy Mansion. The breathtaking La Gorce Island is definitely a desired enclave by celebrities, wealthy Private Investors and those who have a need for Key Man Life Insurance. In other words the extremely wealth love this are of Miami and South Florida. For those who are old enough, you might remember Cher? She once owned a large residence just down the street from Billy Joel. Also nearby was the Latin pop – crossover singer Shakira. We saw newswires report that Bee Gee Maurice Gibb owned a La Gorce Island mansion yet he sadly died in 2003.